An Intermittent approach to reviewing and discussing films from then and now for all audiences. 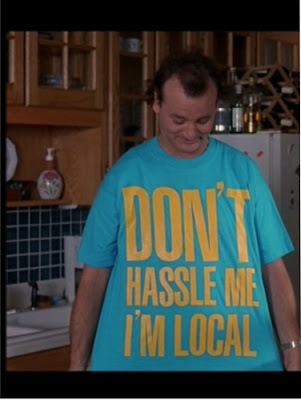 What About Bob is one of my favorite classic Bill Murray Films. It is an original nineties comedy focused around two central characters. A lot of people either have not seen it or saw it way back when and don’t remember it. However, this is a movie that I enjoy watching every now and again because of its satirical humor. People quoted What About Bob just for those certain scenes that we remember. The two central actors of the film are Bill Murray and Richard Dreyfuss. I actually have not seen Richard Dreyfuss in much lately besides the occasional supporting roles in movies like Red (2010) or W. (2008). 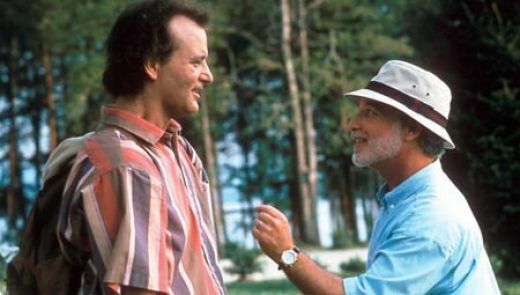 Bill Murray has always been an actor that I appreciate seeing in movies, ranging from Caddyshack to Ghostbusters to even Lost in Translation. 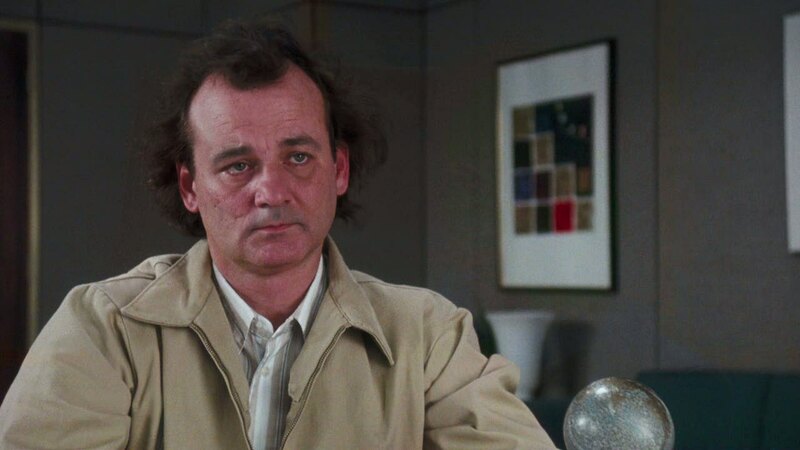 I’ve found that people either love Bill Murray (like Wes Anderson) or just flat out don’t care for him. I’ve heard people say things like, “I love his comedy, but I can’t take his drama.” That excuse can be applicable to many different actors or actresses. One such example was Will Ferrell in Stranger than Fiction (2006). Will Ferrell had the label of comedy written all over him, and he played a serious role in this film. I must admit that when I watched the scene in which he’s flailing the lamp around the room narrating what he does, I couldn’t help but laugh at it. I only saw the actor from Anchorman finally being who I recognized him as: the film comedian of my generation. However I must say that he actually did a wonderful job playing a drama role in that movie and that I enjoyed Stranger than Fiction. Like Will Ferrell, Bill Murray retains his comedy roots in What About Bob, which makes the film a must for fans of Bill Murray comedy or the man himself. Richard Dreyfuss plays his role as a psychiatrist with so much satire. He plays a typecast Psychiatrist. In the first scenes you can really see this when he says the typical “how does that make you feel?” while his index finger lies so menacingly on his chin and lips. That represents the perfect image of a psychiatrist to me. The final scene I will reference Richard Dreyfuss is during his characters interview on Good Morning America. He is so nervous about Bob being on his interview with him that he responds to a question with an answer to a different question. Richard Dreyfuss then looks at the floor and makes this perfectly “what the hell did I just say” face. This reminds me of second-hand embarrassment. Much like I Love You, Man (2009), we feel the characters embarrassment when they do something stupid. Dr. Leo Marvin saying that was nowhere near Paul Rudd’s character leaving a message on the phone in I Love You Man; however it still represents that kind of a joke. · I want! I want! I need! I need! Gimme! Gimme! · Leo, I see salt and pepper. Is there a salt substitute? I was going to include three Genres, but even in movies like Broken Flowers and Lost in Translation, one still finds humor in either his mishaps or his nature. Thus I included Drama into the Dramedy Genre by the role of serious. 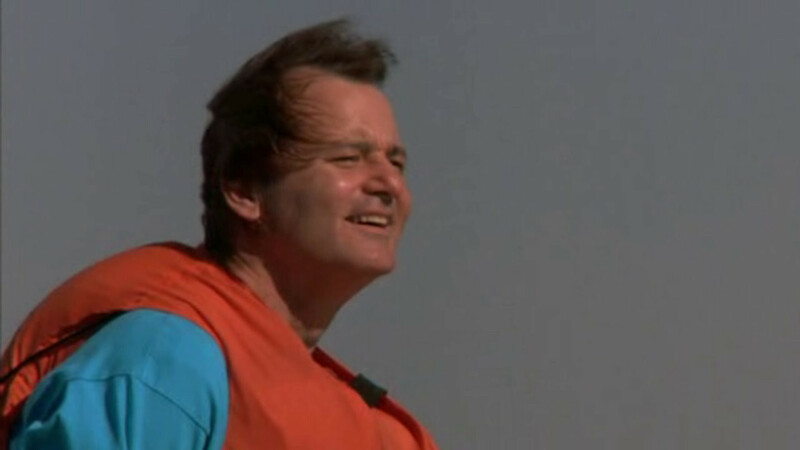 Anyone who’s a fan of Wes Anderson knows that there is a 95 percent chance that Bill Murray is in one of his films. Much like Tim Burton loves using Johnny Depp, Wes Anderson loves using his troupe, Bill Murray being one of them. 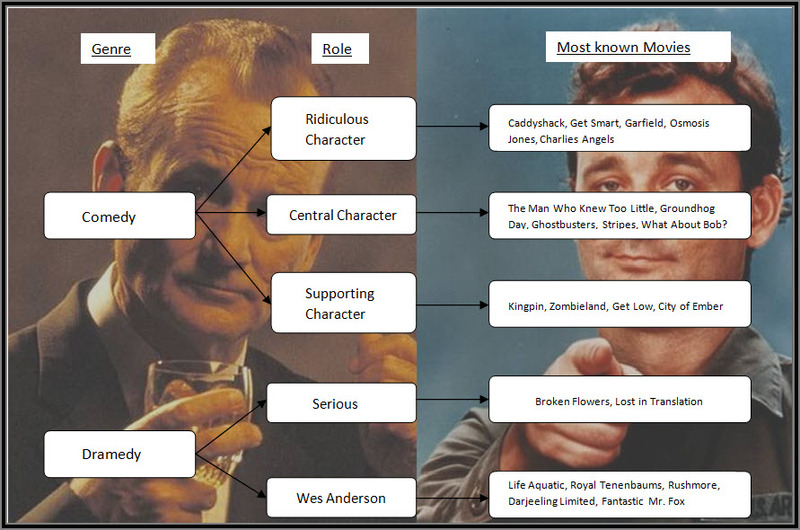 You’ll notice that I included What About Bob into the Central Character Role in a Comedy Genre. If you’ve seen the other movies that are included with that, you’ll notice that his humor is pretty much the same in those films as well (to a certain extent). The Character of Bob Wiley is appealing to us because he represents every kind of crazy that we have seen. Bill Murray once again does a wonderful job at being comedic in the sense of playing a character that is nowhere near who he actually is. His character is built on dependencies, intelligence and fears. Bob Wiley is dependent on having a psychologist. We see at the beginning of the film that he has learned techniques from previous Psychologists in order to cure what he believes is every psychological disorder known to man. He is dependent on his fish Gil as really the only thing in his life that represents a relationship. However, Bob Wiley is an intelligent man. He finds out eventually using his comedic cunning that Dr. Marvin is vacationing at Lake Winnipesaukee. Some people could say that he is intelligent enough to fake all these symptoms or know all of the drugs used to treat these symptoms. He is intelligent enough to be a psychologist already because he knows so many methods that the all of his previous Psychologists have used. Bill Murray acts out his fears in the most comedic sense possible and this is really self explanatory if you've seen the movie. 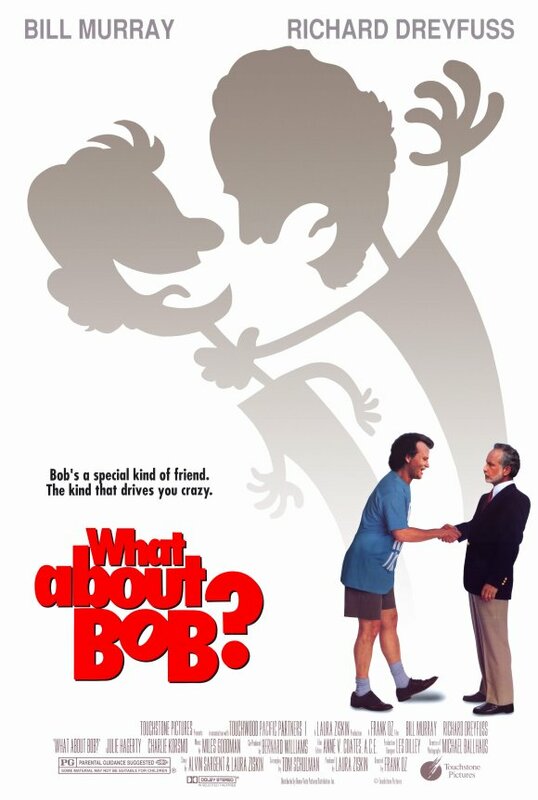 I enjoy watching What About Bob even to this day because of the feeling the movie gives. It has that early nineties feeling. The quality of the film is not today’s super hi-def 1080p 3000 Hz ultimate extravaganza goodness, and you know what? That’s okay. In fact it just makes the movie even better because that’s just how we like it. It’s pretty hard describing the feeling that the movie gives, but I guess you could say that it’s like remembering a time that was literally not too long ago. I’m sure you get the feeling when you watch other movies like Beetlejuice (1988), The Breakfast Club (1985), or other late eighties/early nineties flicks. We all love Bill Murray. Some of us like him enough just to go see any movie he’s in. If you’re a fan of any of the actors that I mentioned, then you need to rent this movie and watch it again! It’s classic Bill Murray and a classic Film. If you do end up watching it again, listen to the names Bob and Siggy call each other when they’re playing “Tourettes”. Some of them are pretty funny. I understand if this movie isn’t your kind of humor. It’s not that some people “don’t understand” the humor, it’s that they don’t care to. Some people would rather watch movies like You Don’t Mess With the Zohan (2008). Personally that humor doesn’t appeal to me, but to some it does. However, let me tell you this. Give it a chance! At least read what I’ve said here and try to see it the way I do, and maybe you’ll enjoy it as much as I have. I enjoyed this Blog. It is intelligent, multifaceted and gives a different view than most review sites. I especially enjoy that there is a serious viewpoint to the review, and relation is made to other films and genres of films. The flowchart was especially fun and intresting. I've been away for a bit people. Sorry about that. However, I'd like to come back with a recent Marvel movie that I watched. As Films become more and more part of our culture, we all start to acquire our own tastes in what we watch, much like music. However, the reviews on movies that we read are supposed to represent the majority. How can one person have a correct opinion for us all? I don't wish to give you reviews of movies; or how many Potatoes, Stars, or thumbs in the air I give films. I merely would like to offer a take on my aspect of the film itself. In discussing what we took from these films, we can intellectually come to a review ourselves. The way it should be.